Moore’s latest opus is first part of the third volume of his League of Extraordinary Gentlemen. It’s an unlikely ‘superhero’ team of literary characters; in this case, the likes of Raffles, Orlando and Carnaki the ghost finder. As you’d expect it’s full of Moore’s dark comedy and spiky wit and, as always, Kevin O’Neil’s art is equally razor sharp. 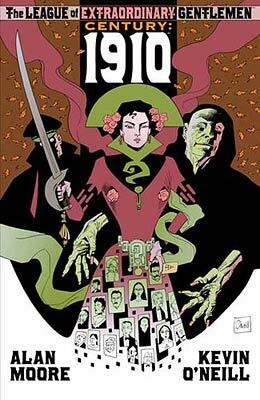 While this first of the three parts that will make up ‘Volume III’ (thus bring the League right up to the modern age) does work as a stand-alone story, its dark, ominous premonitions act as a great set up for the story to come.